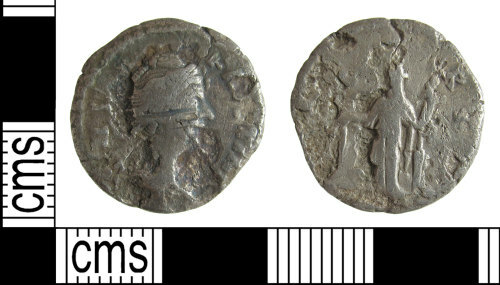 A silver denarius of Faustina I (AD 138-161) dating to 141-161, Reece period 7. CERES reverse type depicting Ceres, veiled, standing left holding corn-ears and torch. Mint of Rome. RIC III, page 72, number 378. RIC : RIC III, page 72, number 378.